THE huge job cuts announced by British bank Barclays last week have cast a pall over the banking sector, but experts believe the industry in Asia remains in sound shape. Recruitment consultant Robert Half noted that while the banking sector is complex and diverse, the outlook for the Singapore market is good. Its research shows that 43 per cent of financial services leaders plan to grow their teams in the first half of this year. Robert Half Singapore managing director Stella Tang said hiring is "robust", particularly in the corporate banking, private banking and insurance sectors. "While we do not expect increases in headcount from European or North American banks this year, Asian banks and those from emerging countries have been active in the employment market," Ms Tang added. CIMB economist Song Seng Wun agrees that the outlook for Asian banks is far more positive than for their peers in Europe. Asian lenders, he noted, were not plagued by problems of over-leveraging and the regional economic growth is far stronger. "As European banks pulled out, Asian banks stepped up," Mr Song said. The problems in Europe were brought into sharp focus by the Barclays announcement last Thursday that it will cut 19,000 jobs over the next three years. About 7,000 jobs will go at its investment banking unit, which posted a 49 per cent plunge in pretax profit in the first quarter to £668 million (S$1.4 billion). While the bulk of the downsizing will be made in its home market Britain, some investment bankers around the world, including those in Singapore, will likely be shown the door. 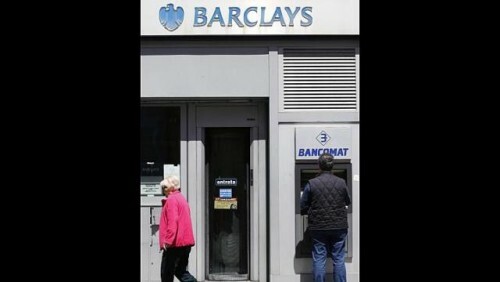 CIMB's Mr Song said the Barclays job cuts reflect the impact of a slow recovery in Britain as the European continent emerges from a severe downturn sparked by the debt crisis. "What we're still seeing is the lag effect of businesses being affected as developed economies in Europe went through a rough patch," he added. "Remember that people are still out of work, businesses are still failing, though the rate is moderating." Mr Song said one reason the investment unit is bearing the brunt of the cuts is the global market is seeing fewer initial public offerings or mergers and acquisitions. Industry insiders also added that investment banks are now having to trim their headcounts after expanding aggressively during the boom a few years ago. "Even in Singapore, the market has been relatively quiet, things have been muted and the Reits market is very depressed," said an investment banking executive who declined to be named. Another investment banker here said her company has had to adopt some cost-cutting measures. "But the cuts are not massive on the scale of Barclays; it's minimal to drive efficiency and some are due to normal attrition," she said, declining to be identified due to the confidentiality of the matter. Another industry veteran here noted that the investment banking environment is more volatile and the job cuts are a result of that uncertainty as well as lack of clarity. "You have banks that come to Asia without a good or with no strategy, some French banks, European banks, American banks, they come and then they go," he said.